Want to play some games ? Nokia Lumia 920 gives you the option to play some amazing ones with its built-in graphic processing unit to give the ultimate gaming experience. 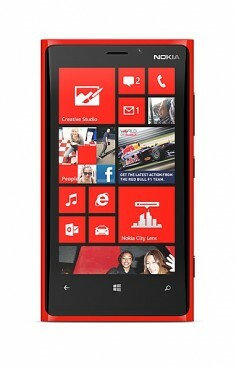 Nokia Lumia 920 has NFC. NFC stands for Near Field Communication. With NFC you can make payments using your mobile or transfer data between two mobiles just by touching them. Nokia Lumia 920 has DLNA. DLNA enables easy sharing of music, photos, and videos over wifi. Stream your videos from the phone to the TV over Wi-fi. Nokia Lumia 920 has front camera. A front camera allows you to have video chat with your nears and dears.